This year marks the 35th anniversary of Tansun. The company has gone from strength to strength since its early beginnings in 1982 when its founder Pete Rana shaped the future for short wave infrared heating and three years later teamed up with Philips to create the first infrared industrial heater. Tansun has grown consistently through the years and by focusing like many businesses on a specialist area, it has provided the solution to a problem. In Tansun’s case it has been to provide an efficient solution to heating buildings which are notoriously difficult to heat, such as factories, warehouses, gymnasiums and aircraft hangars. At the same time, in the leisure field, Tansun has successfully developed a reputation for helping bars and restaurants to heat outside areas for alfresco dining whilst also increasing their revenue and customer experience. The company prides itself in its UK manufacturing based in West Bromwich, yet Tansun’s business stretches across Europe and beyond, the company exporting to over 50 countries worldwide. Indeed, Pete Rana was recognised for his success and was awarded an MBE in 2003. 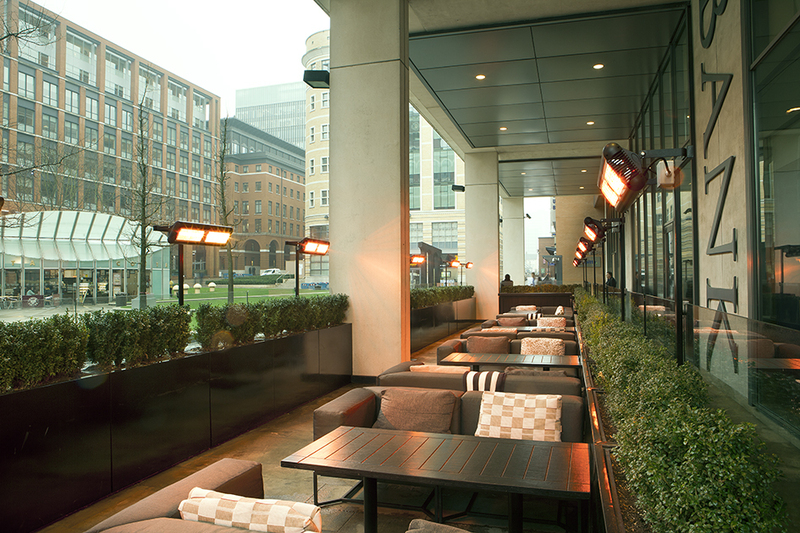 Tansun infrared heaters are installed across the world from America to Norway, and Australia to Paris, and well known names such as Coca Cola, Heathrow, the Davis Cup, Tower Bridge and Tate & Lyle are among its customers. Tansun was the first to develop full shortwave heating technology providing instant high frequency infrared heat, which is focused exactly where required. With their specially designed high intensity smooth parabolic reflectors and the use of premium lamp technology, Tansun heaters efficiently heat people indoors and outside, as 96% of the energy consumed is direct heat radiation.